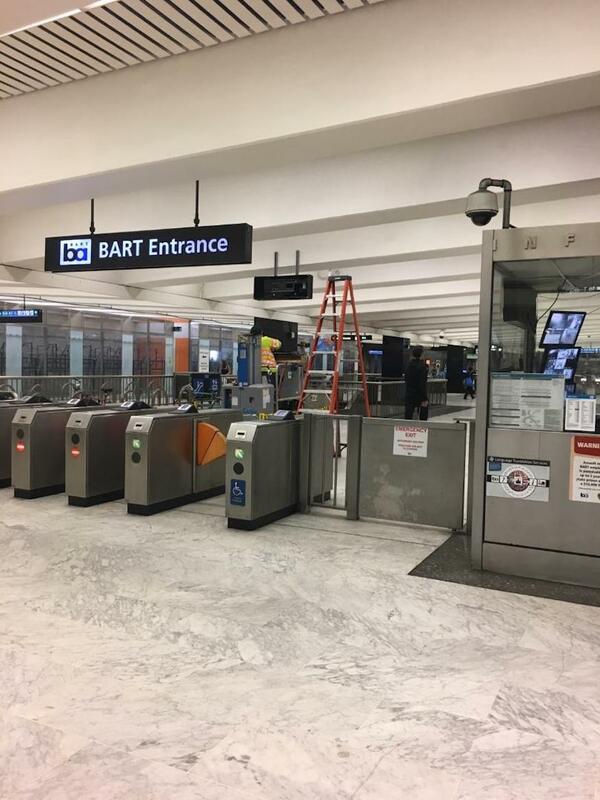 It appears a new real-time transit arrival time sign is being installed at the Civic Center Station recently. At last, you can find out when the train is arriving before you enter the fare gates. That’s right — before you rush into the turnstile and hear Electronic BART Lady or Electronic BART Guy proclaim it 15 minutes to the next SFO train. Thanks to Erich and Amy from Capp Street Crap for the tip. The screens are a part of the Metropolitan Transportation Commission (MTC)’s Hub Signage Program, announced in 2011. Here’s what the signage looks like for Muni, as seen at the Embarcadero Station.